Tshisanyama’s are a meat lover’s mecca. They are also the place to be when you want to have a party, see your favourite artist or just chill with friends over a beer at a car wash or share a nourishing meal with family. 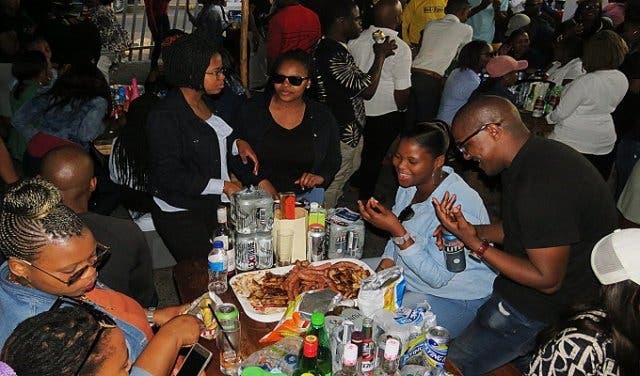 Affectionately referred to as GQ by the locals, it’s the new kid on the block and is the younger sibling of Gqudu Lounge, the nightclub around the corner on NY 110, Gugulethu. When they are not hosting events, Gqudu butchery is ideal for a quick lunch while getting your car washed by the gents on the corner. 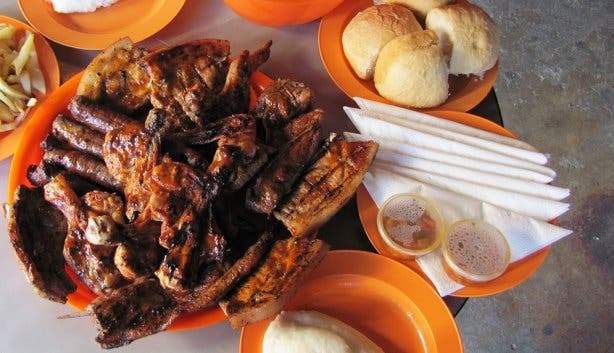 They give generous portions of their meat, from tender lamb and pork chops, to the basted wings. Go there because: There’s deep house throughout the day, and over the weekend as the sun sets Aux Womdantso fills the dance floor with original gqom beats. Opening hours and contact details: Tuesday to Friday: 9am - 7pm, Saturday to Monday: 9am - 10pm. +27 (0)61 783 1922. Address: No.4, NY110, Gugulethu. It’s a butchery by day and a hot spot by night (only over the weekends, weekdays 50 on Gux closes at 7pm). On a sunny Sunday afternoon, over a soundtrack of good RnB, it’s the perfect hang out. You can buy and braai succulent red meat, or just lounge around with your friends over a couple of beers. From Friday to Sunday, as the day turns into evening, the music transitions to hip-hop and gqom, and the dance floor gets packed. The drinks will keep flowing as the resident DJ takes to the decks. Go there because: Locals love their pizza sausage, topped with chakalaka and cheddar cheese, perfect for sharing. Opening hours and contact details: Weekdays: 9am -7pm , Weekend: 9am - 11pm. +27 (0)82 553 3599. Address No. 90, NY 50, Gugulethu. 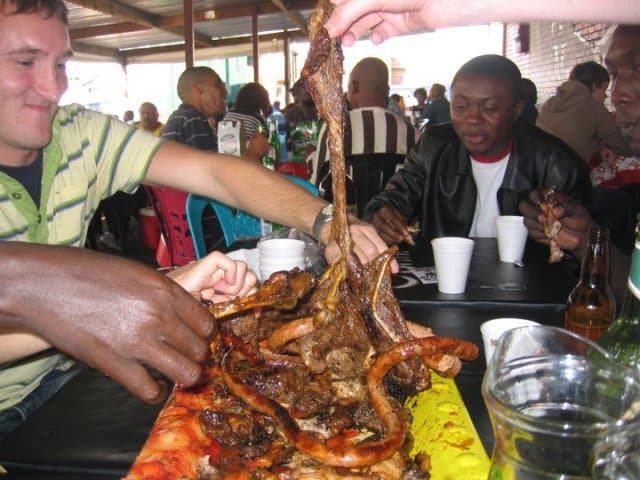 This is a family-friendly butchery; Nomzamo does not serve alcohol on the premises and offers a formal sit-down menu. 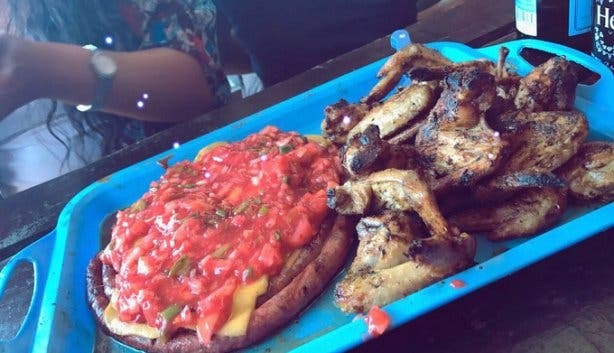 It’s popular for their basted wings, and their braai of tender red meat and livers. Off the set menu you can order a hearty beef or chicken stew instead of having a braai. Nomzamo, like most thsisanyamas, started as a butchery, so you can also opt to pick your meat (you can watch as they cut it) and and braai at home. Go there because: Nomzamo is in Cape Town’s oldest township – the home of Brenda Fassie and cricketer Themba Bavuma. Opening hours and contact details: Monday to Saturday at 8:30 am - 6:30 pm, Sundays 8:30 - 4 pm. +27 (0)21 695 4520. Address: 9 Hostel Business Centre, Washington Street, Langa. Opened in 2015 this tshisanyama has grown bigger and better, and the food has stayed as delicious. Rands also hosts some of the biggest parties in the Mother City; AKA, Cassper Nyovest, Lulo Cafe and gqom royalty Distruction Boyz have performed there. 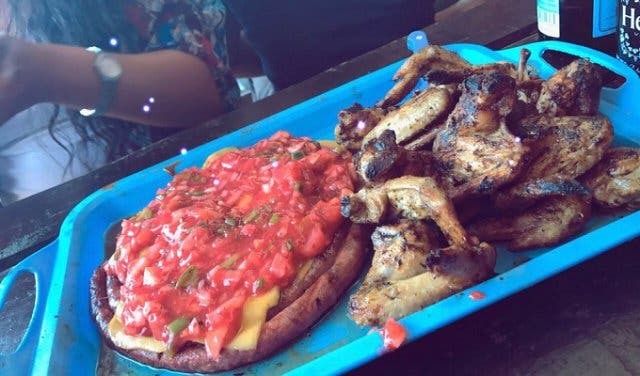 Go there because: On Thursdays they have a African Delight special where traditional meals, from idombolo, samp and stews, are sold at a set price. This new and revamped spot, which changed its name from Fire and Ice to Bleach Blouberg Shisanyama, had Cassper Nyovest as a headline act at their official launch party in October. Locals love it for their prime beef cuts and because on they can watch a game of rugby or soccer on a Saturday. You can also go there to dance the night away. Go there because: Tshisanyama’s are big on beer, but Bleach Blouberg Shisanyama also has a fully stocked bar and are good with cocktails, hard liquor and spirits. Opening hours and contact details: Opened daily: 1 pm - 2am. +27 (0)73 747 2033. Address: 5 Marine Circle, Blouberg. It’s in the gentrified streets of Woodstock, but you’ll still feel right at home. 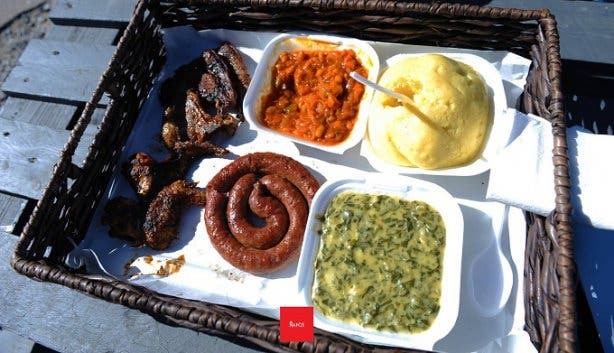 Amadoda has a shebeen vibe, from the Sophiatown murals that hang on the walls, to the traditional braai meat they make, and the sides of pap and chakalaka. They play African music, with Zimbabwean jazz and local house music in the background. Go there because: On Thursday there’s live entertainment from 8pm to 10pm, when Amadoda plays host to these artists Pan-African musicians. Due to renovations, Amadoda is currently closed and set to re-open in 2018. Mzoli’s, in the heart of Gugulethu, in a Cape Town institution and Mzoli Ngcauzele is the godfather of tshisanyama. Popular for being packed with patrons over the weekends, it is advised you come early if you want to order and still have a table. If not, many park their cars along the road and have a good time in the streets of Gugulethu, as you can hear the DJ at Mzoli as you enter this lively township. Go there because: Mzoli's is an institution, and for good reason. Go see what all the fuss is about, and life is not complete without trying their famous secret sauce. Opening hours and contact details:. Open daily: 9am - 6pm. +27 (0)21 638 1355. Address: NY 115 Gugulethu. Are you hosting a braai at home and want to buy good meat. Here’s a list of more butcheries. If you’re new in town and have just been invited to your first braai, here’s what to bring. 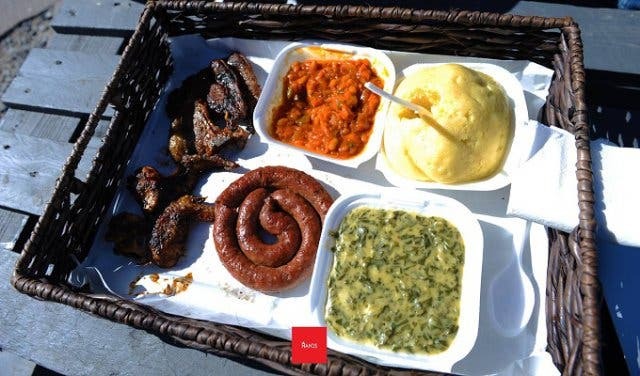 We also know the best braai spots in Cape Town. New: Strictly African food in a unique Mzansi-style at Afrobar & Pitso’s Kitchen. 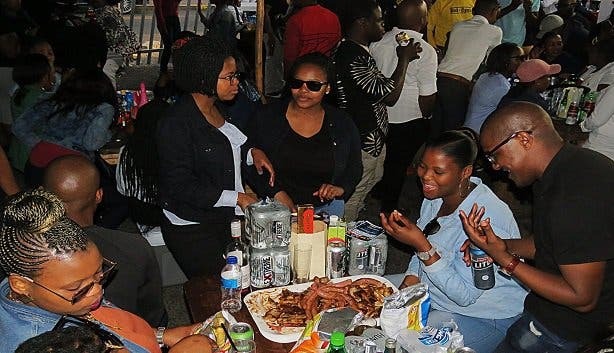 Cape Town's most popular tshisa nyama spot, Mzoli's, has become a Sunday hangout institution. Read our directions to Mzoli's in Gugulethu. Prefer to do the braaing yourself? Check out these braai spots around Mother City.